The poppies and the text are stamped with versafine black ink and clear heat embossed. The poppies are colored with distress ink. Les coqueliquots et le texte ont été étampés avec de l'encre noire Versafine et embossés a l'encre claire. Les coqueliquots sont colorés avec de l'encre Distress. so beautiful love the bold colours! 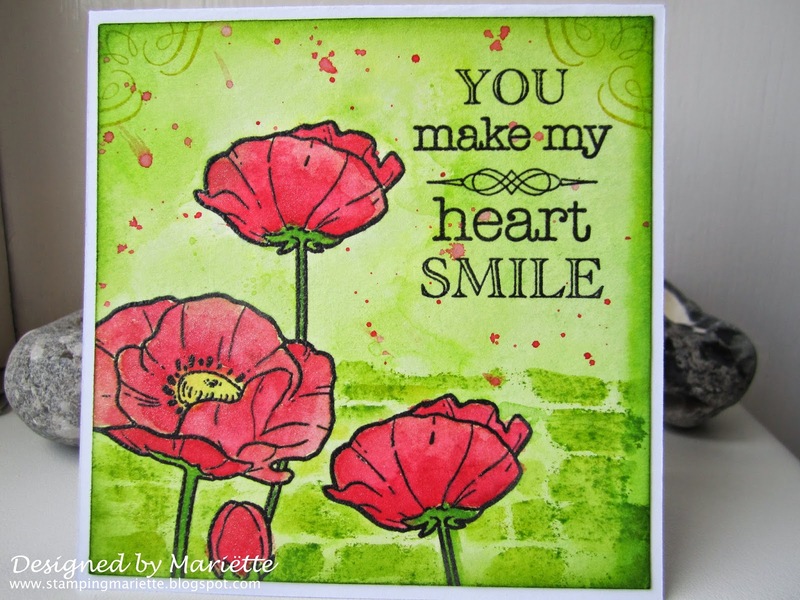 Wow, amazing colorcombo and I love this poppy stamp. Beautiful card. Beautiful card! Love the green colors and how you used the sentiment stamp at the corners too. Wonderful! Thanks for sharing.